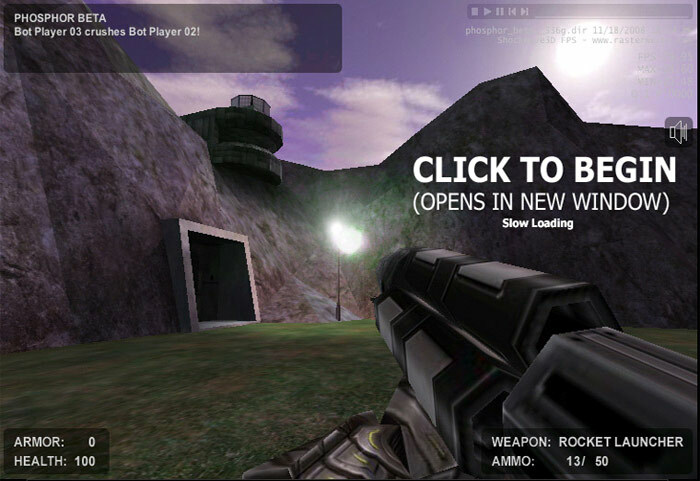 Description : Phosphor Beta is is a 3D graphics online shooter simulator game. Get into a fight against computer bots. Pick up better weapons, bullets and health items to survive longer in this fight. Be careful, few shoots and you will loose this fight.